The electrical system in your home, as you doubtless realize, is of vital importance. We rely on electricity for a lot of different tasks throughout the day, from charging our mobile devices to heating up our food and powering our appliances. With that in mind, it should be pretty obvious that you must schedule immediate electrical repairs in Newington, CT at the first sign of trouble. The consequences can be pretty severe if you choose to ignore indicators that any facet of your electrical system is in trouble. When in doubt, contact a member of our staff. 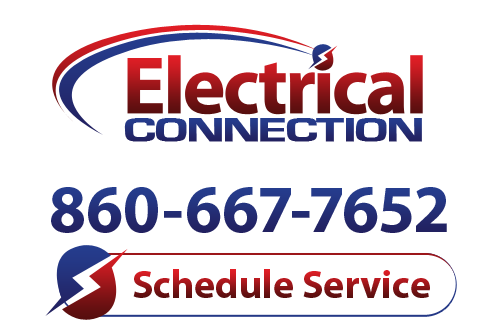 Electrical Connection, Inc. is happy to handle any electrical repair services that you may require. While flickering lights may be annoying, they are helpful in that they are a pretty obvious sign that something is amiss with your electrical system. There could be a problem with the bulb in any given light, of course. However, you could also have a loose connection, damaged wiring, or other problems which require the repair services that only a trained professional can offer. No matter what may go wrong with your electrical system, you can count on our electricians to get to the bottom of the problem. Modern circuit breakers make it easier than ever to reset tripped circuits. You no longer have to worry about replacing a fuse every time such a situation arises. However, don’t let this convenience lead you to believe that there is nothing wrong should circuits continuously trip in your home. This should not be a regular occurrence, and if you are frequently making trips to the circuit breaker you should really give us a call to investigate matters. If you smell melting plastic, if wiring feels hot to the touch, or if there is a burning odor coming from any electrical appliance or component, contact us immediately. You do not want to risk a fire in your home, especially when it could be avoided with prompt repair services. Never hesitate to dial our number if you think that you have an electrical problem.